A new study by Harris Interactive and Tealeaf shows that online retailers lost as much as $44 billion last year due to poor online customer experiences. Have you ever tried to buy a computer online? 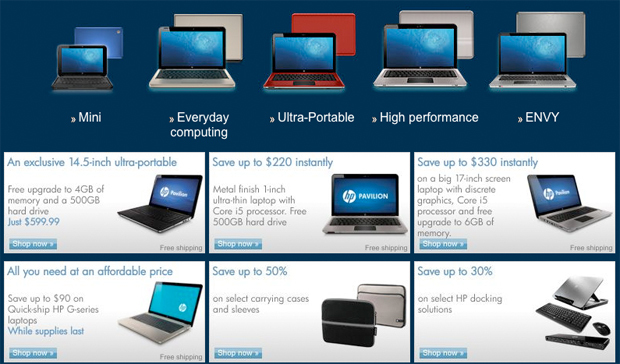 Head to HP and you’ll be swamped with options. Do I want a laptop for everyday computing? Ultra-portability? High performance? Envy? Oh, what’s Envy? On Dell’s shop, you’ll find more of the same: a slew of laptops offering “uncompromised performance” or “best-in-class performance” or “style and performance.” What’s the difference? Shoppers are bombarded with confusing choices like these every day, and online retailers are paying the price. According to a new study by Harris Interactive and Tealeaf, retailers may have lost as much as $44 billion last year due to bad online customer experiences. 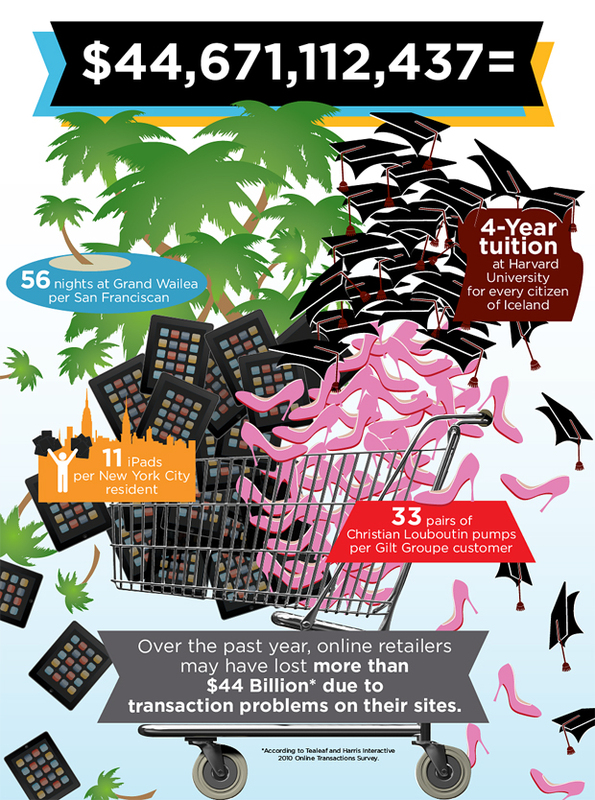 The statistics illustrated in the accompanying infographic below are alarming; unfortunately, they’re overshadowed by the graphic’s poor design–an odd mix of iPads, high heels, and Microsoft Word-like clipart–which perhaps demonstrates just how difficult it is to create an effective user experience. With shoppers spending more than $144 billion online every year, it’s no wonder Apple and Amazon are obsessed with perfecting their purchasing experiences. According to the study, when faced with a problem, close to a third of online shoppers choose to abandon the transaction entirely, rather than, say, trying again or contacting customer service. The key, he says, is having a simplified, streamlined user experience.